Every tree tells a story. This beautiful Cassia blooming in our compound is a local favourite and proudly boasts of one too! 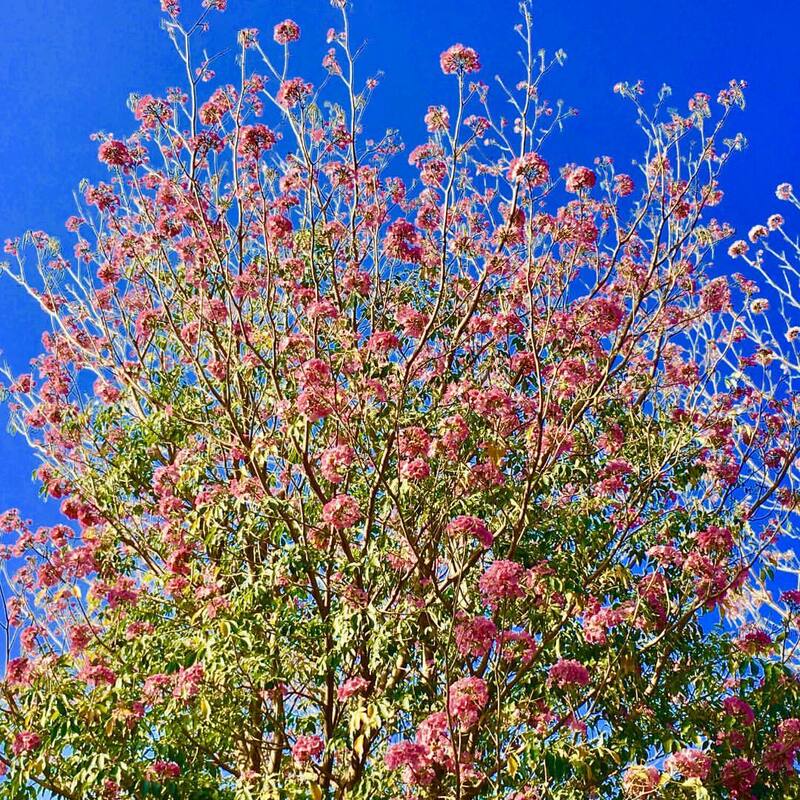 The dark pink clustered flowers on the drooping branches of this tree turn white with age. During the peak season, every year, the ground below is strewn with the petals, which adds colour to the area. This sight inspires me to grab quick captures even as the blooms gradually fade away, indicating that things are temporal and that everything in nature must come to an end. The inevitability of Nature, as we know it. What a humbling thought for us! My favourite tree. My dad has a beautiful, majestic tree like this right outside his bedroom window…. It is such a lovely tree…the sheer beauty is enough to bring in the joy of being close to Nature, right into one’s room! Beautiful blooms. Where I live, nothing is yet blooming or leafed out, but give it a few days, with so much of our weather being unseasonable. Thanks Alana. It is, right now. Oh yes, there’s a lot of unpredictability everywhere…for us, here, in terms of the soaring temperatures we’re getting even though its only March. Will stay tuned for your spring pics too ! 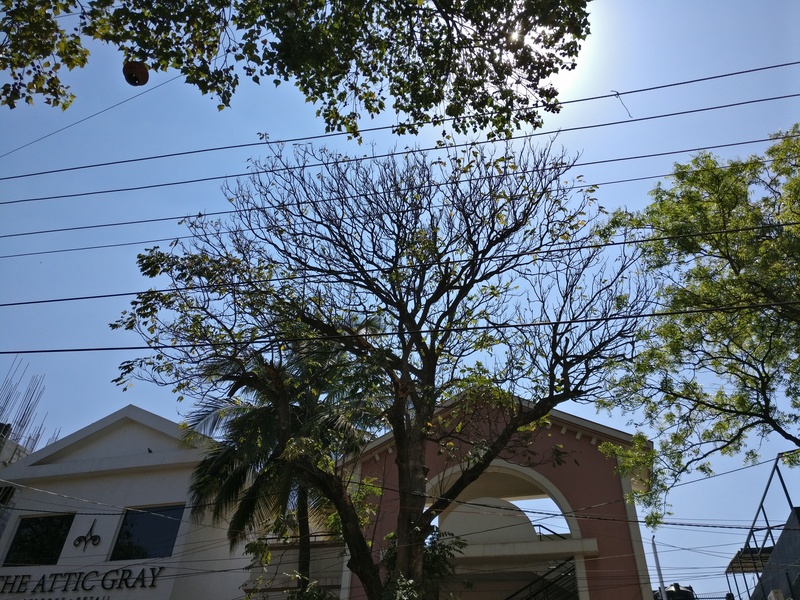 It looks so gorgeous right now in Bangalore, notwithstanding the unbearably high temperatures sending us all into a tizzy! Myriad shades for our eyes to revel in…Yes, I think the idea of the #treelove prompt was that, initially. How nice it would be to see something blooming here. I just need a little patience while I enjoy your blossoms. Of course, I know what you mean. Sometimes, all we need to do is wait for the seasons to come and start showing us the way. Nature has a perfect sense of timing, you see! Love this pink bloom. I have never heard about this tree before. Is this an indigenous species? How likely I’m to come across such trees in Bangalore, Esha? The name sounds so similar to Acasia that we have it in plenty, here in Rajasthan. But then it’s a tree for semi-arid region. so no flowers and even leaves are quite small. The furniture made out of its wood is exported, world over. You’re right, Arvind. Seen plenty of Acacia trees in Ahmedabad. This one, typical of Banaglore, though, flowers only in March-end to early April and are gone by mid-April. They’re all bare now. And, yes, they are very similar to the beautiful Cherry blossoms of Japan. Absolutely Arvind. All we really need is the eye to see it. But even then, I’m amazed how people stay glued to their gadgets all the time, not once bothering to look up whats in front of them. A lovely picture and like you, I can’t stop admiring and clicking 🙂 Such a joy. Thank you for joining, Esha. Means a lot. True, Parul. Now, I’ve got an even better excuse to shoot these lovelies 😉 Glad to join in for the prompt. i didn’t know it was called Cassia … looks absolutely beautiful 😀 Lucky that you have it in your garden. Thanks Raj. Cassias are lovely. You must have seen them in Bangalore when you were here last.